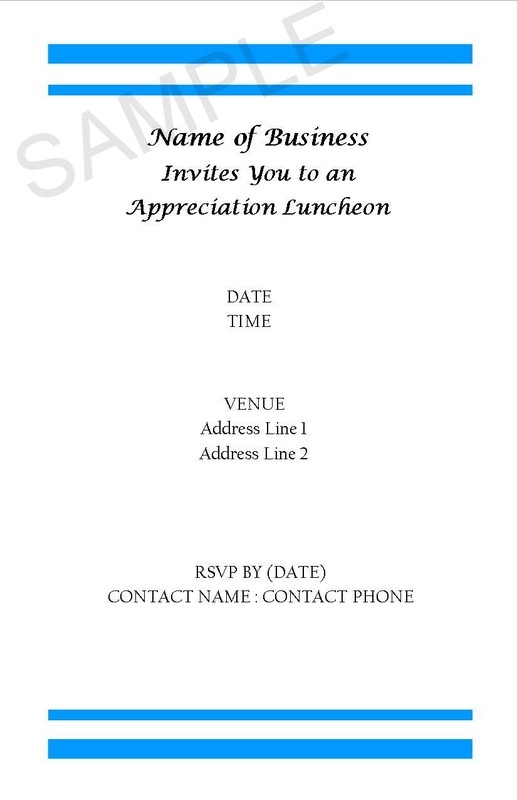 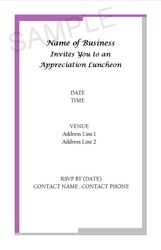 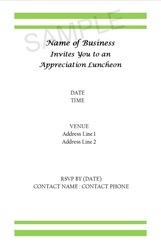 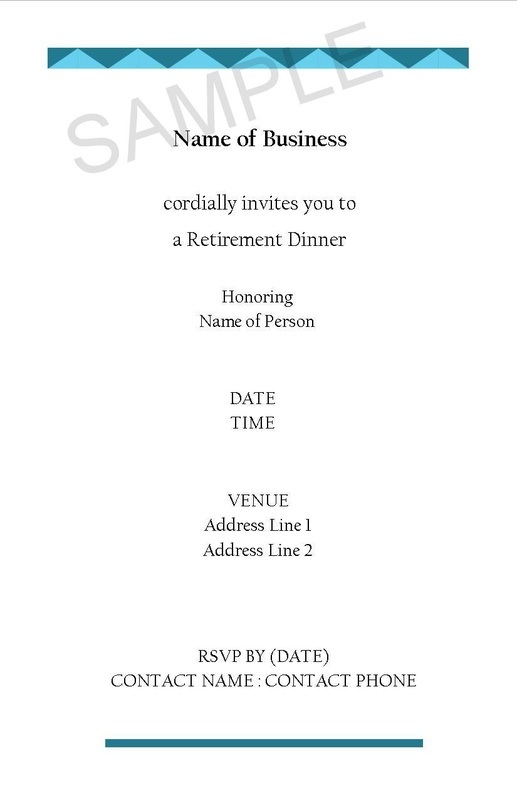 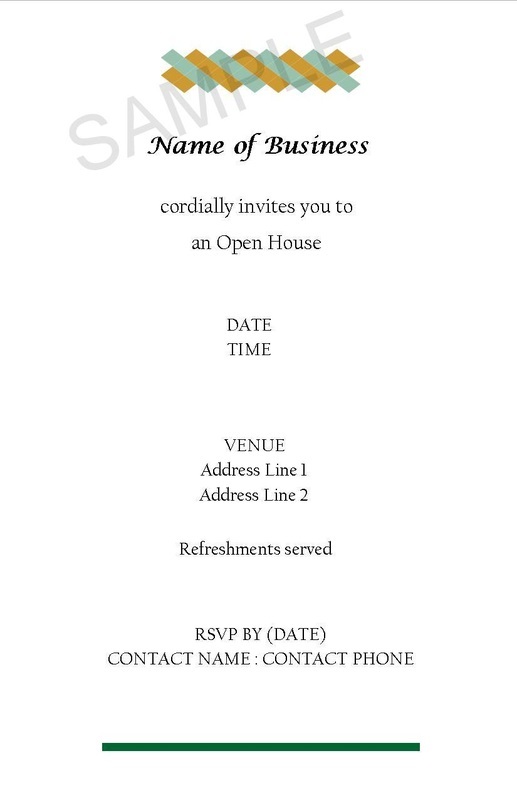 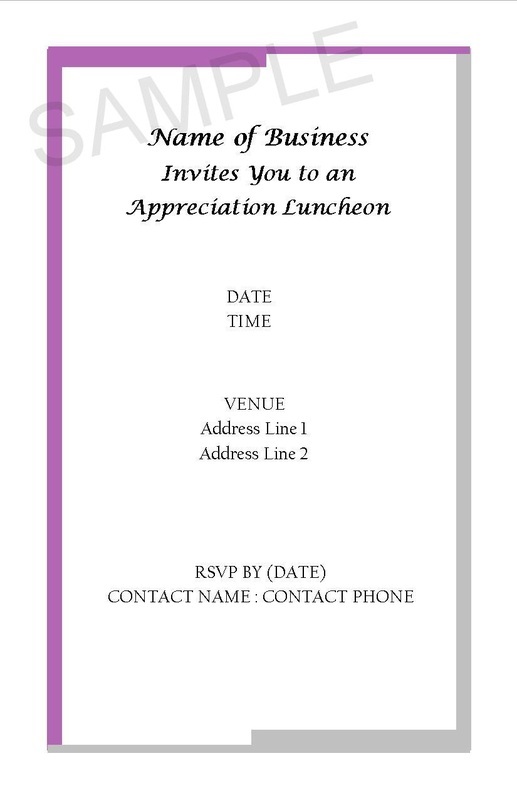 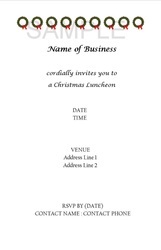 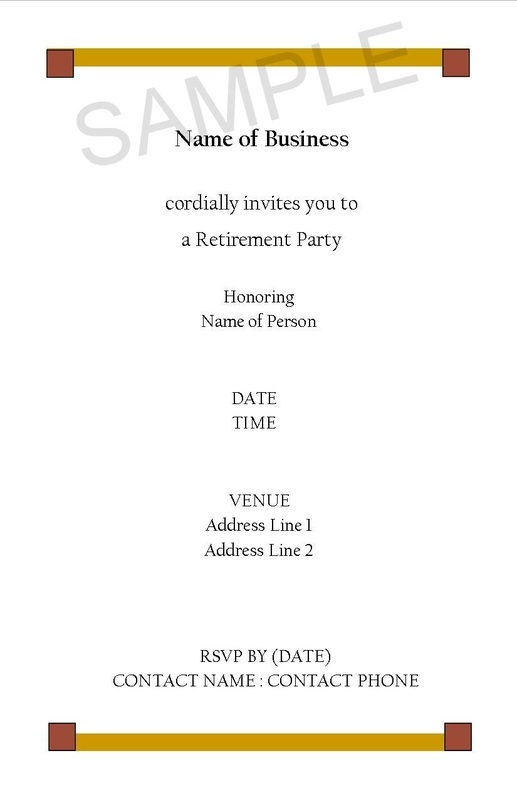 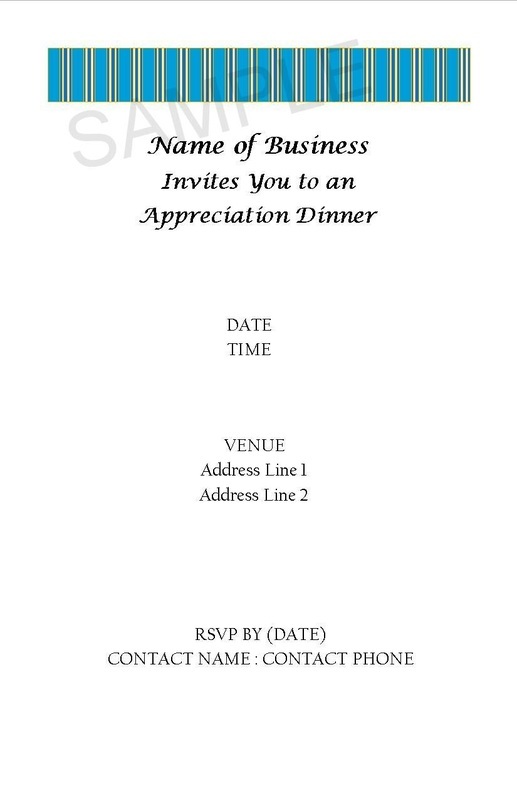 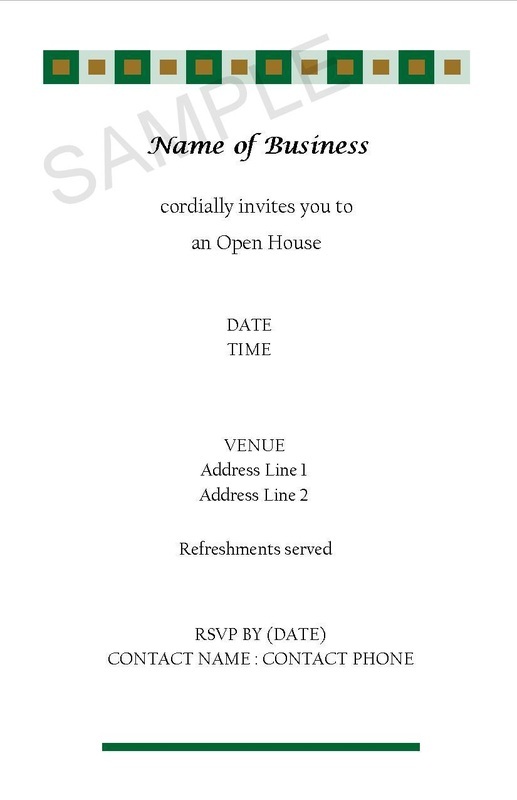 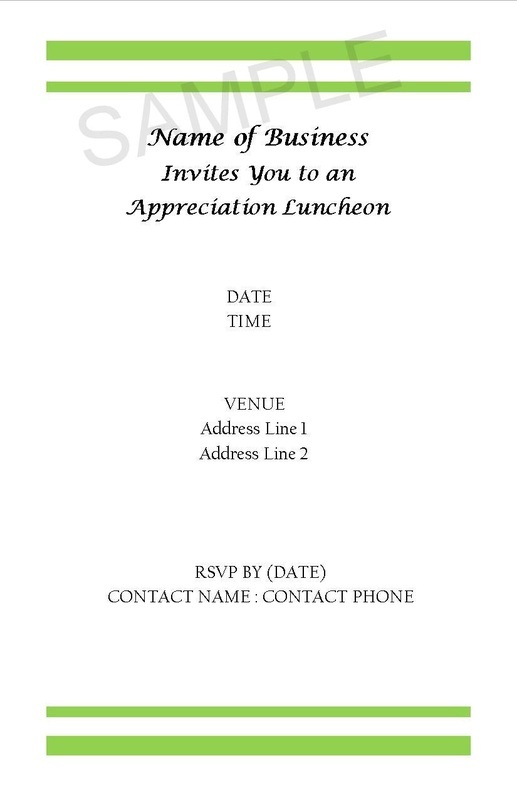 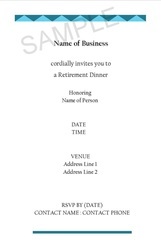 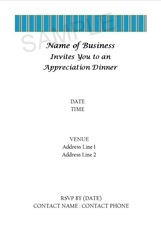 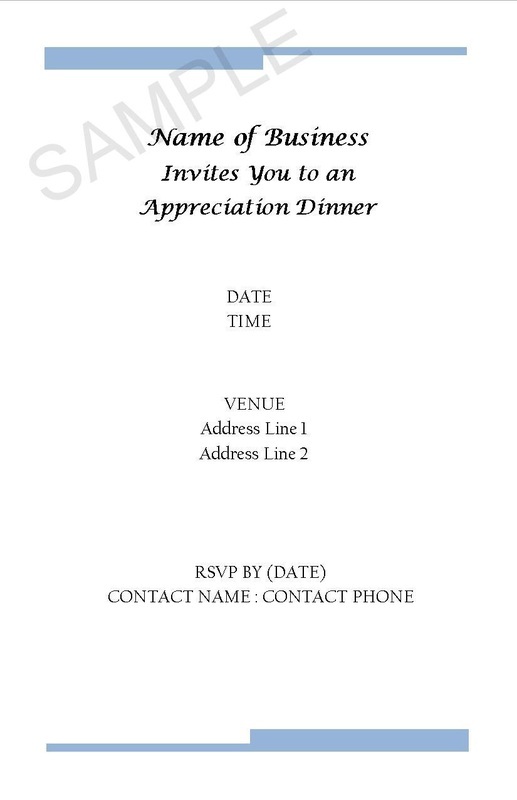 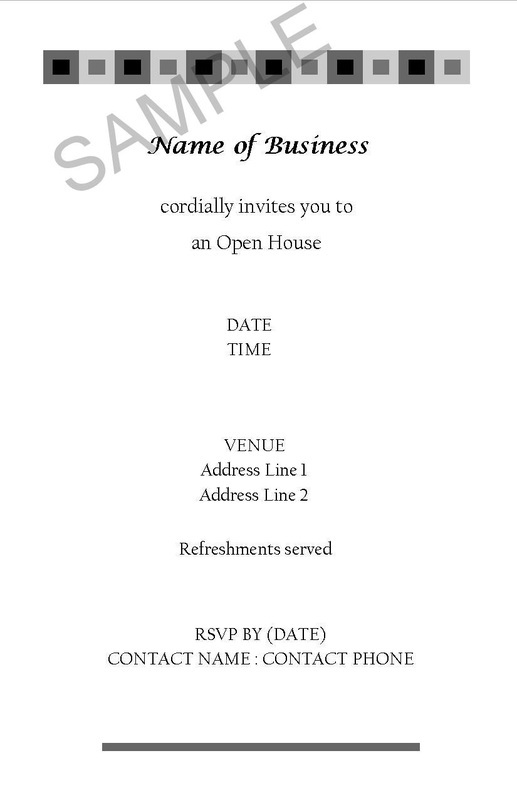 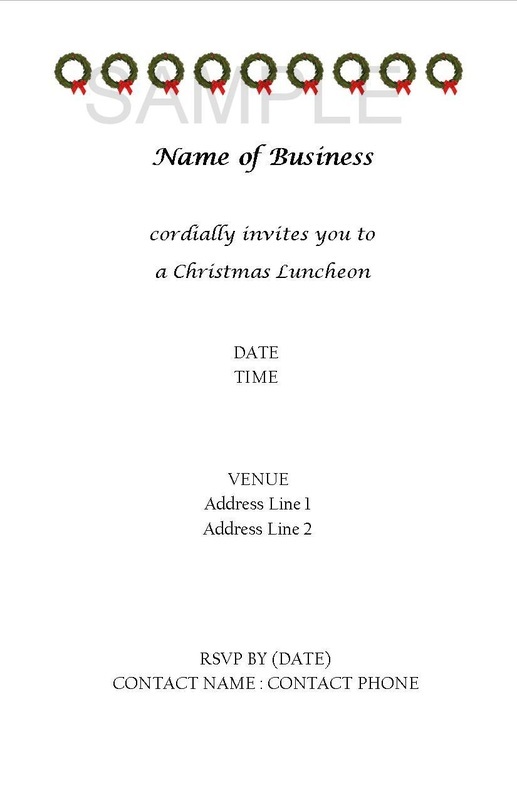 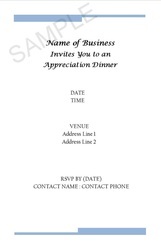 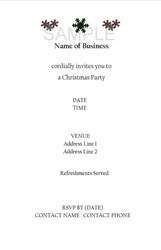 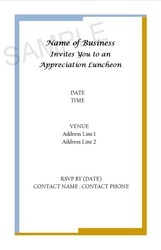 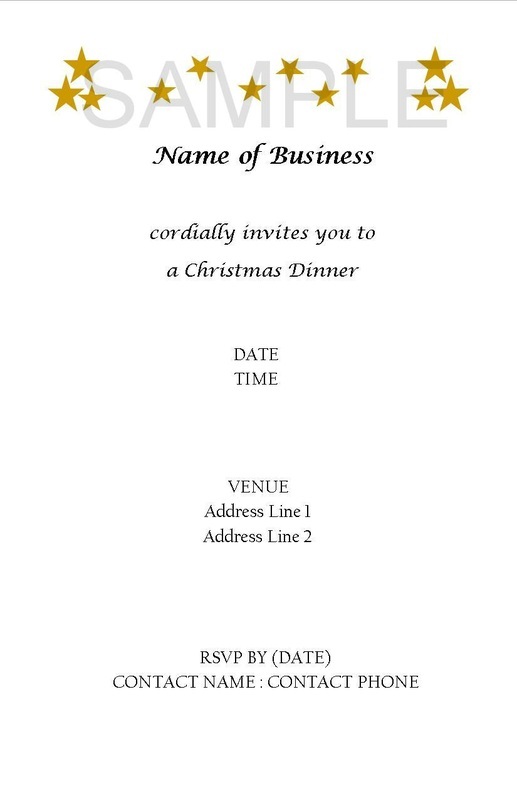 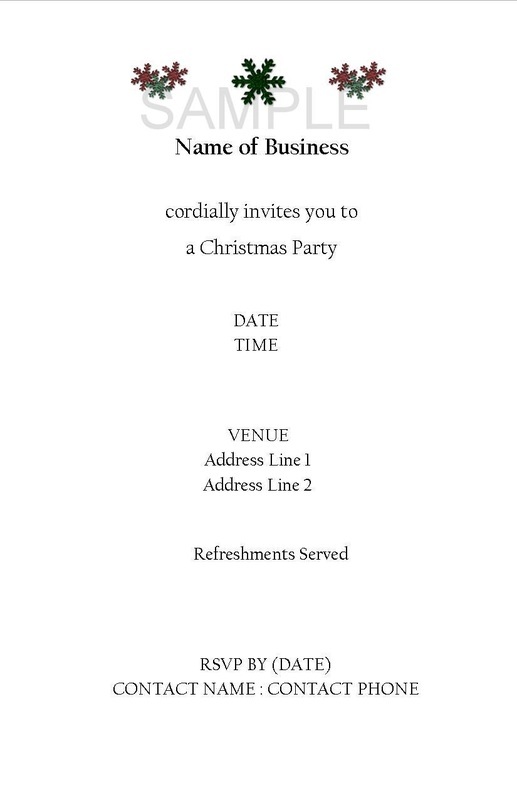 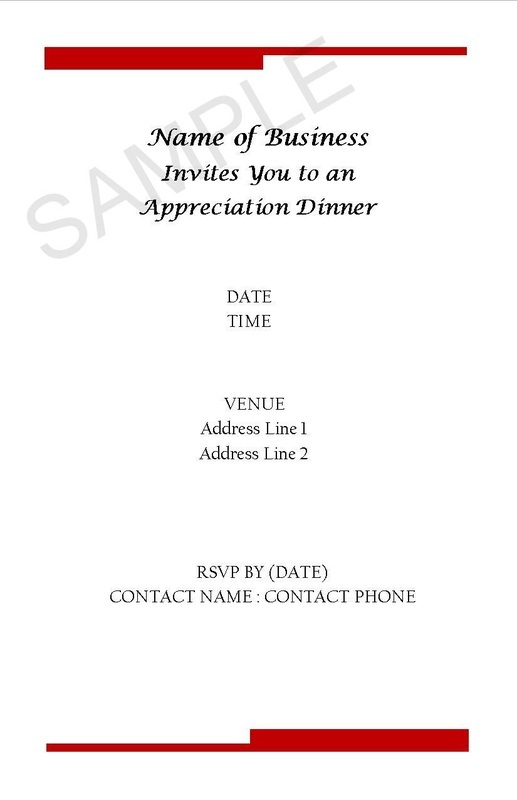 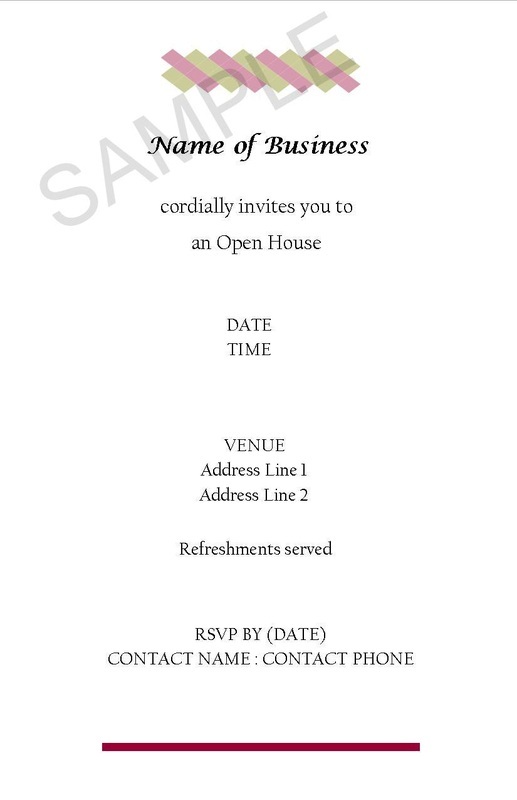 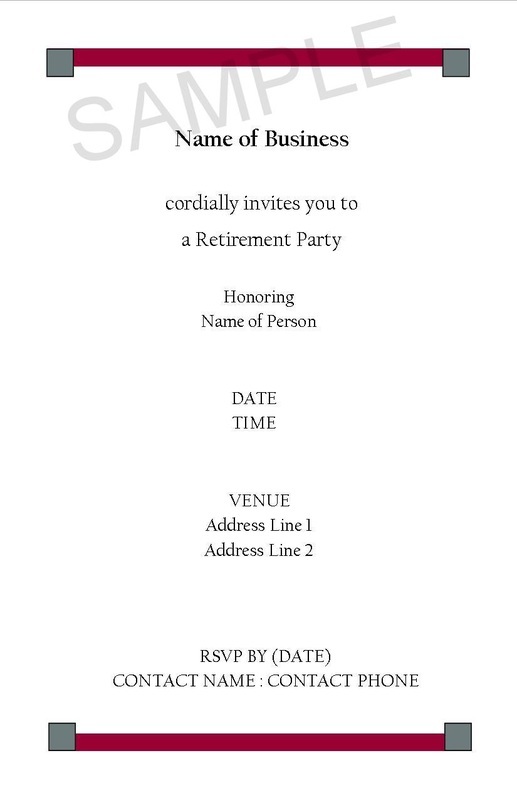 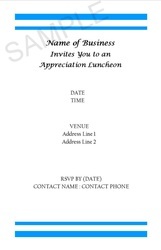 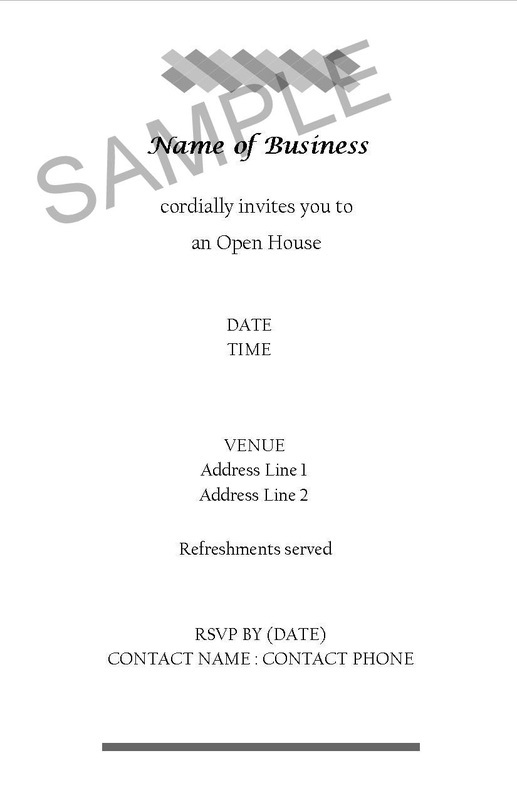 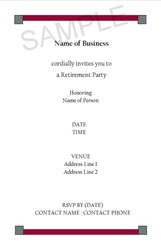 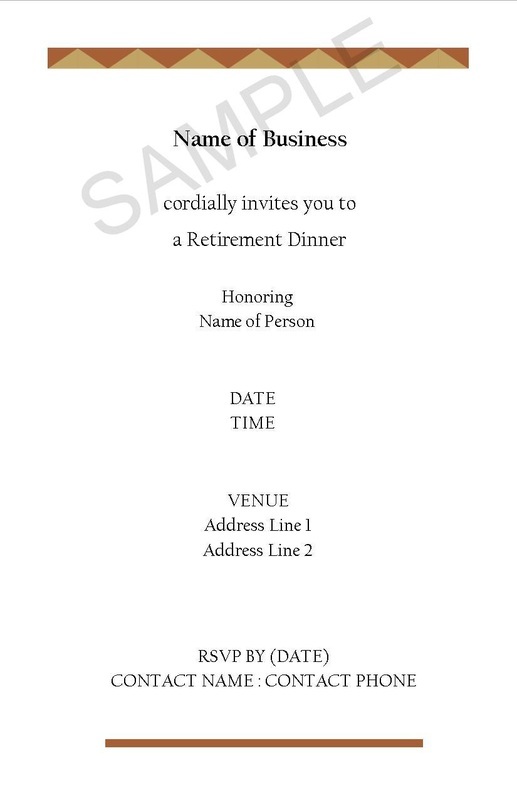 Business Buddies LLC has created a variety of invitations to service your business needs for a variety of occasions. We customize the invitations with the information you provide to us. 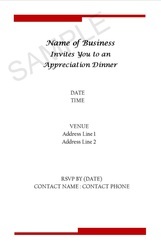 We occasionally add new products, so please keep checking back. 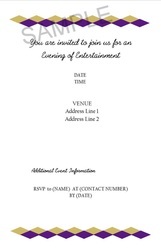 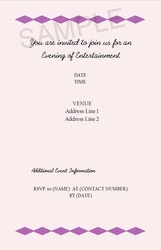 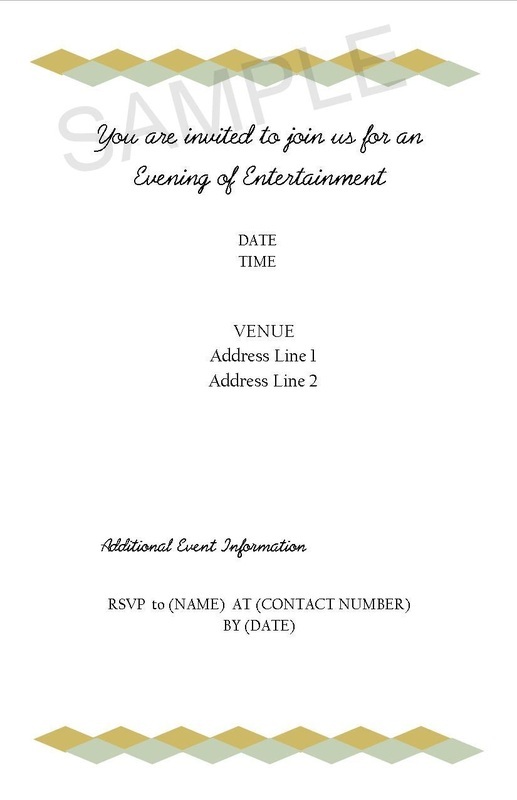 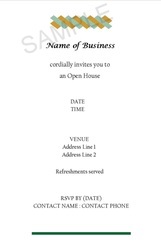 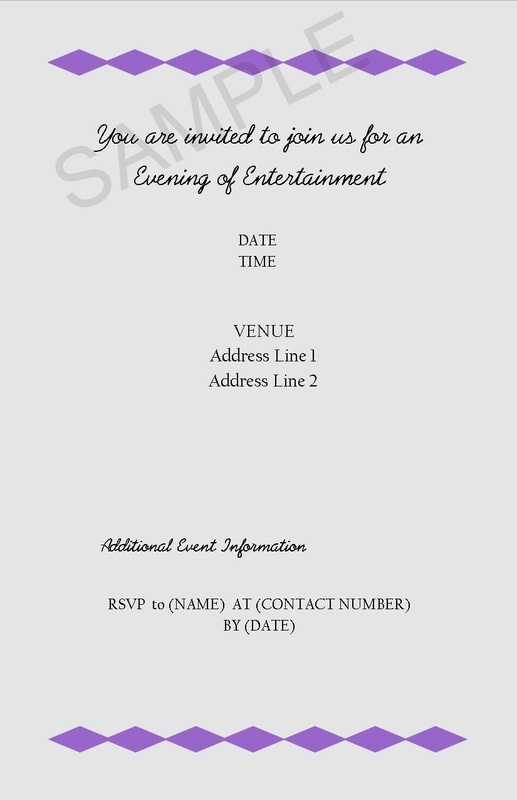 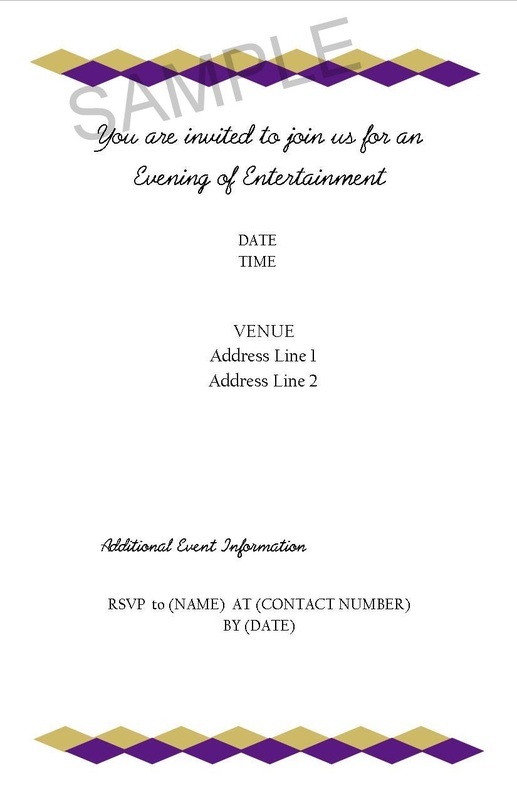 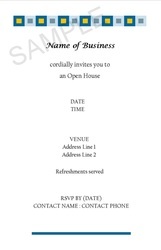 Flat invitations are sized 5 1/2" x 8 1/2" . 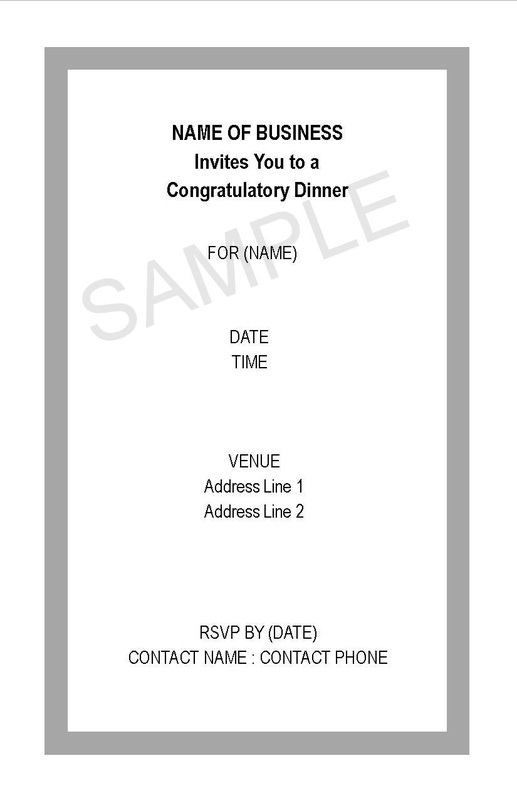 All have white borders and a matte finish. 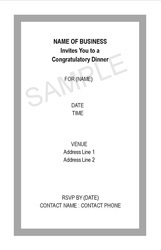 They are sold in packages of 10 invitations with white envelopes. 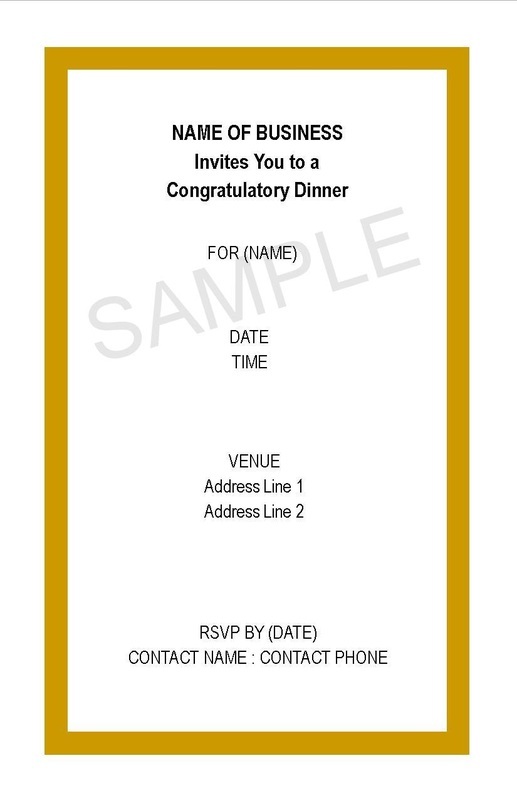 They cost $6.98 per package. 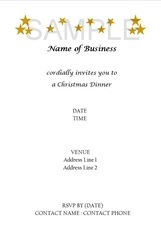 Our original designs are made and sold exclusively by Business Buddies LLC. 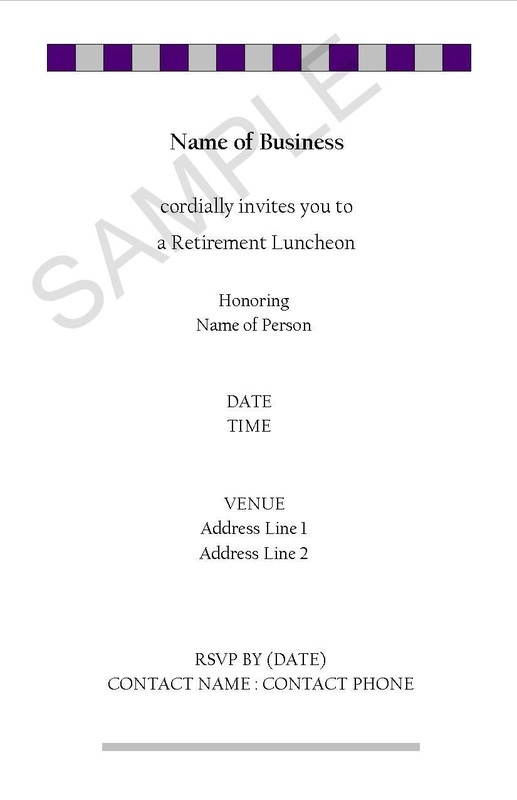 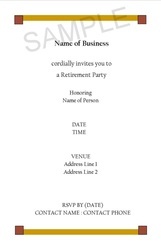 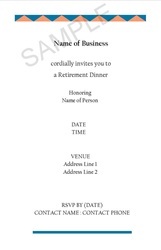 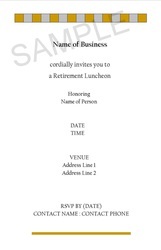 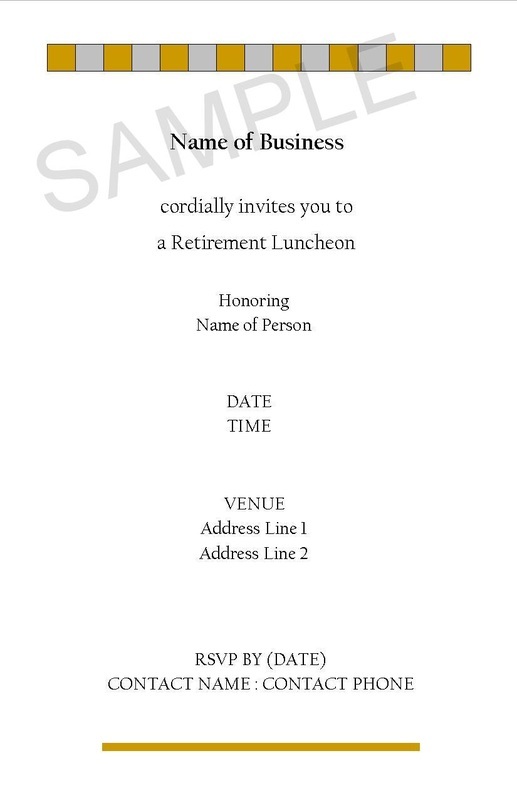 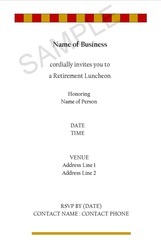 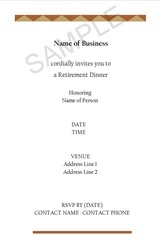 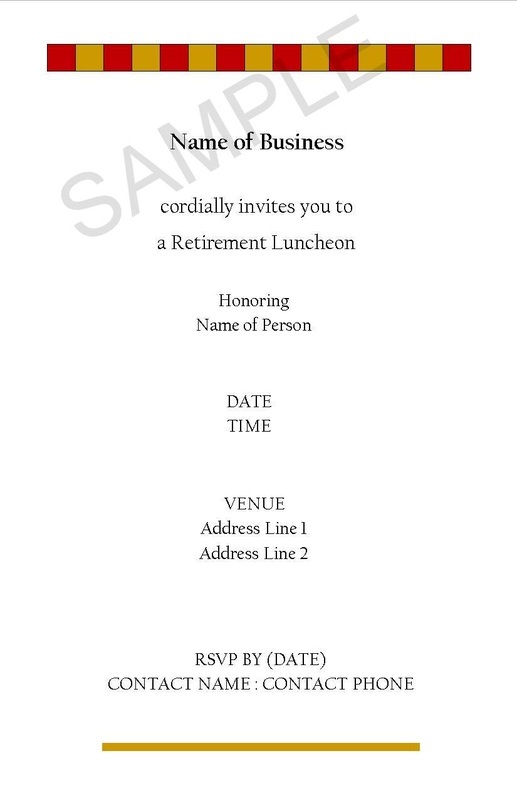 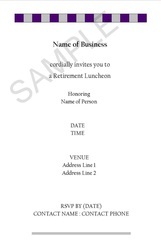 All Invitation designs are copyrighted by Business Buddies LLC and may not be reproduced in any way. 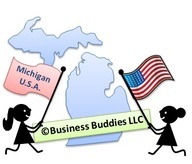 Business Buddies LLC also provides business support services to businesses, organizations and churches within the state of Michigan. 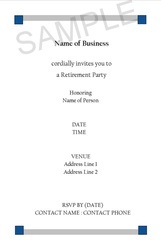 When sending your Invitations, we can help you with your mail preparation needs to your existing customers or clients. We can personalize the invitations, address and mail them for you. 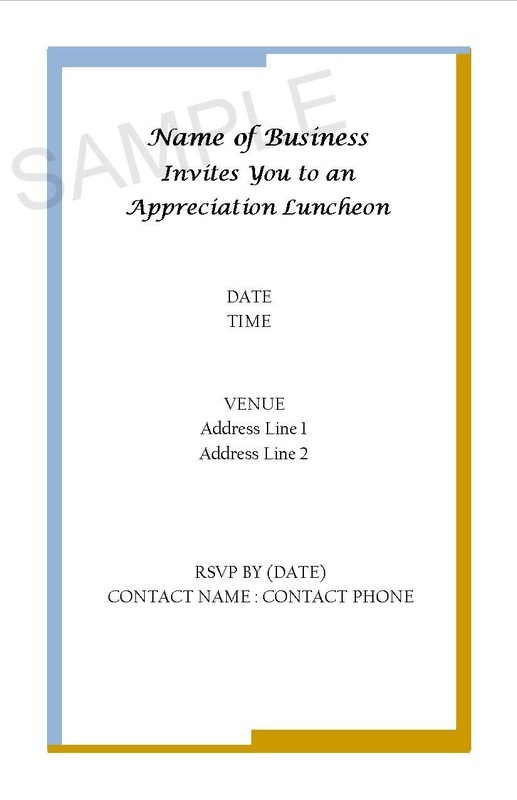 Please call us for more information about this service, as well as the many other affordable, helpful services we provide. 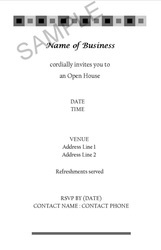 You may also view services we offer by clicking on Our Business Services. For a larger view of each invitation and product item number, click on the picture of the invitation. 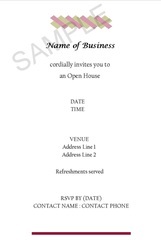 Also view our Business Invitation Postcards by clicking on the link Business Postcards. Please visit our Online Store and Customized Products sections to view our products. We add new products and product categories, so please keep checking back often.